Had dinner in True Kitchen this evening. Christmas present from my brother which we used to Zara’s birthday. 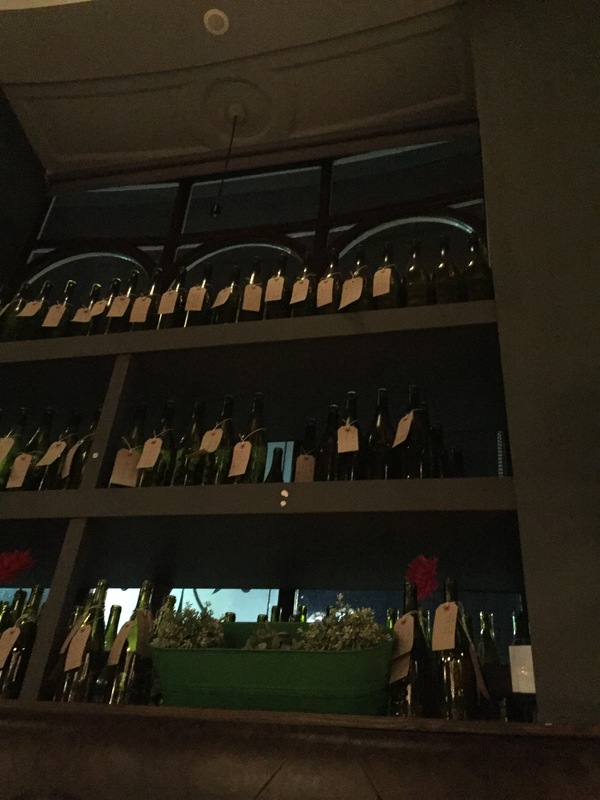 Along the windows are shelves of empty bottles with handwritten messages attached.